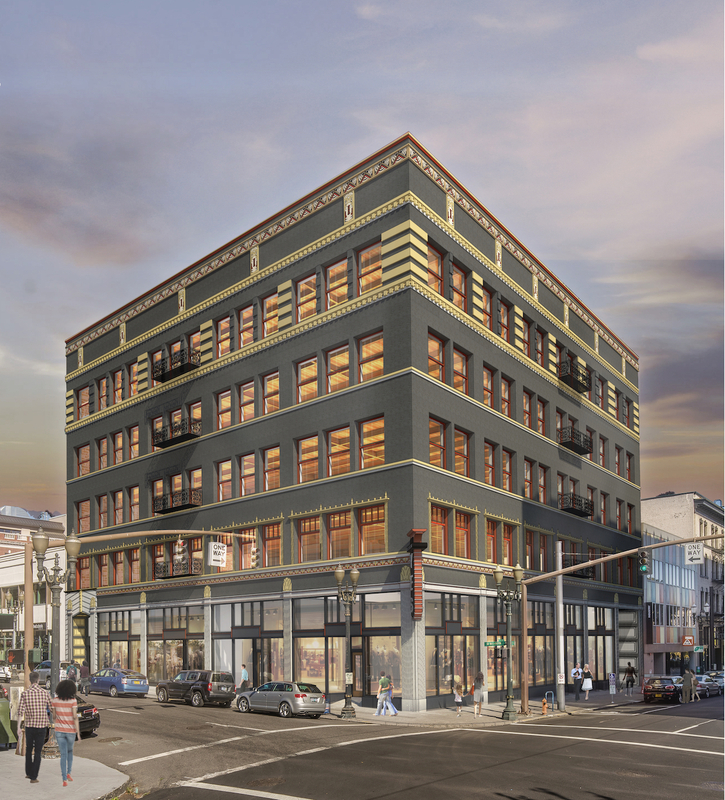 The Design Commission has approved a major renovation of downtown’s Fliedner Building. The core and shell renovation is being designed by Jones Architecture, for building owner Singer Properties. The project will include a seismic upgrade and the insertion of a new exit stair, which will allow the currently vacant upper floors to be converted to office space. Two new landscaped roofs courts will be added at the top of the building. Exterior work will include stucco and terracotta repairs, new paint, and replacement of existing windows with new wood windows. Current code – Proposal is for a new community boathouse. New code – Deconstuct/demolish existing single family home, currently utilized as generic commerical use. Build five stories affordable housing with community componenets at ground level. 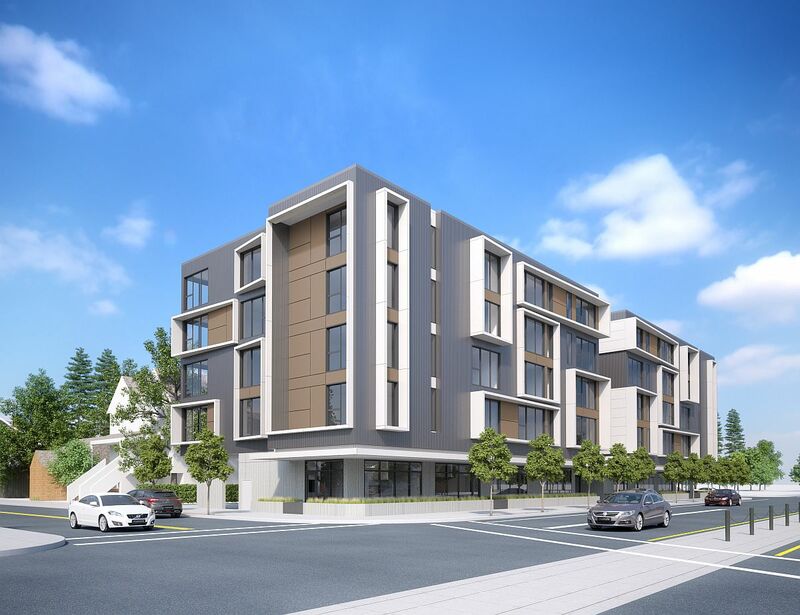 New construction of 4-story apartment building with ground floor retail and at grade parking. 3 stories of studio and 1-2 bedroom units. 48 housing units in total. Portland State University has debuted the Karl Miller Center, the $64 million business school building at the heart of their campus, writes the Oregonian. The Portland Business Journal took a first look at Under Armour’s new Portland office at 2815 SW Babur Blvd. 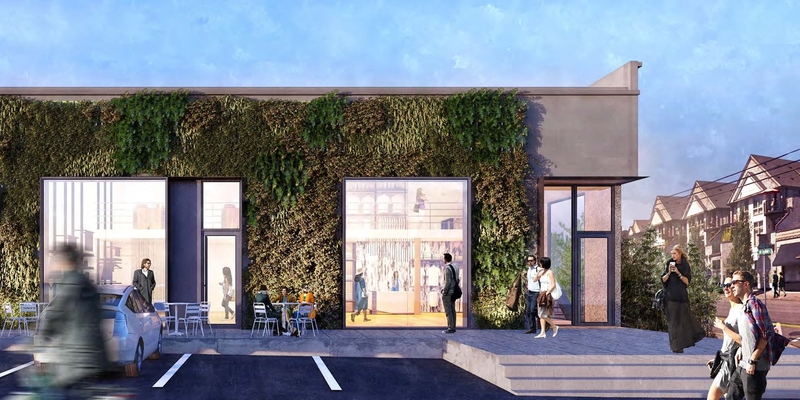 Prosper Portland (formerly the Portland Development Commission) is looking for applicants for its affordable commercial space, writes the Business Tribune. 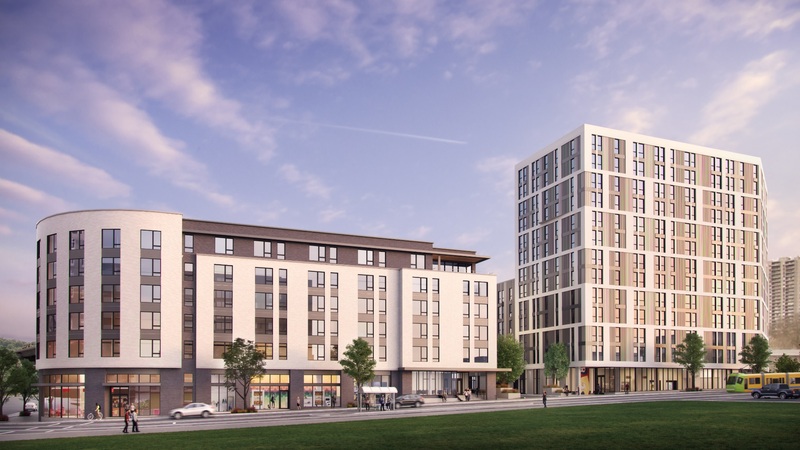 Space is being offered at the Alberta Commons at NE MLK and Alberta, at Oliver Station at 9202 SE Foster Rd, at 9101 SE Foster and at the 10th & Yamhill Smart Park. 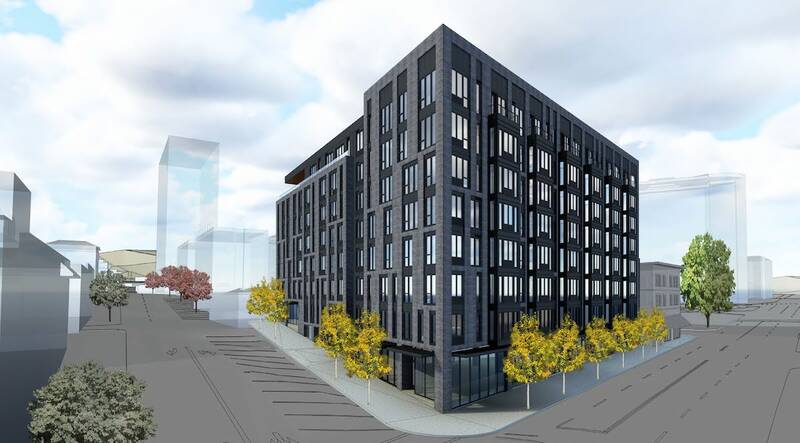 The Willamette Week wrote that the condominiums at Carbon12 are being offered for sale at prices up to $1.5 Million—a likely record east of the river. 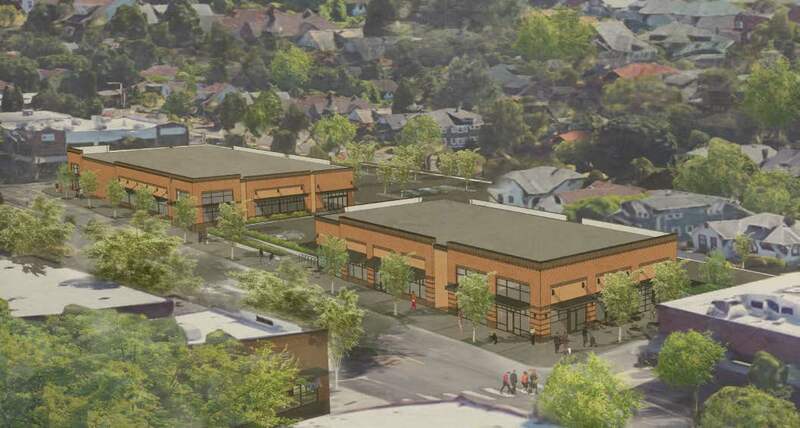 The Business Tribune wrote about Security Properties’ plans for the five acre PepsiCo distribution center at at 2505 NE Pacific St.
BikePortland took a look at the Albina Vision, a concept plan to restore the historic Rose Quarter neighborhood and put biking and walking first. 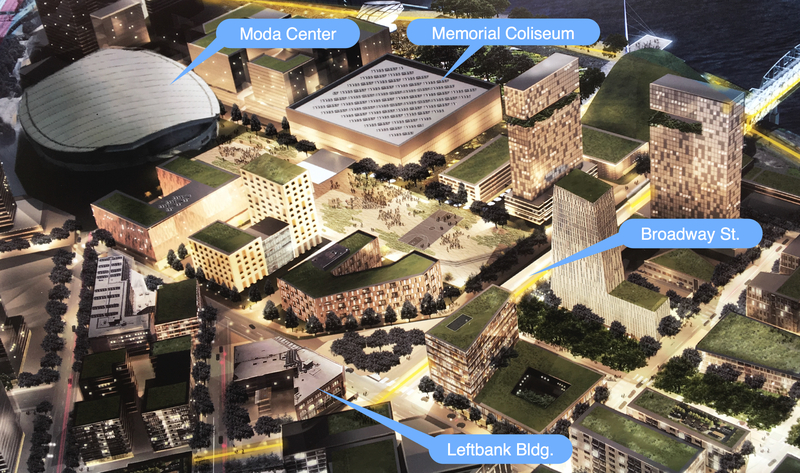 As the City Council held its first hearing on the Central City 2035 Plan, the Oregonian looked at 9 key changes proposed. Seattle based Security Properties has closed on the 4.7-acre PepsiCo site at 2505 NE Pacific St, writes the DJC. The developer is “is in the process of interviewing architects to begin conceptual design for the multiphase redevelopment”. With news of the development breaking, theOregonian asked if Sandy Boulevard is the next Hawthorne? The Portland Business Journal took a first look at chef David Machado’s Tanner Creek Tavern, which opened this week in the Pearl District Hampton Inn & Suites. Core and shell work has wrapped up at the Towne Storage Building. The DJC published photos of the renovated building, before construction begins on the tenant improvement for software company Autodesk. Lastly, a note on the frequency of posts here at Next Portland. As some people have noticed the number of posts published has gone down a lot in the last couple months. This isn’t a reflection of there being less to write about; it’s just that Next Portland is written by just one person, in my spare time, and I haven’t had the ability to commit time to the site in recent months. As things are getting back to normal I hope to be able to return to the regular posting frequency. 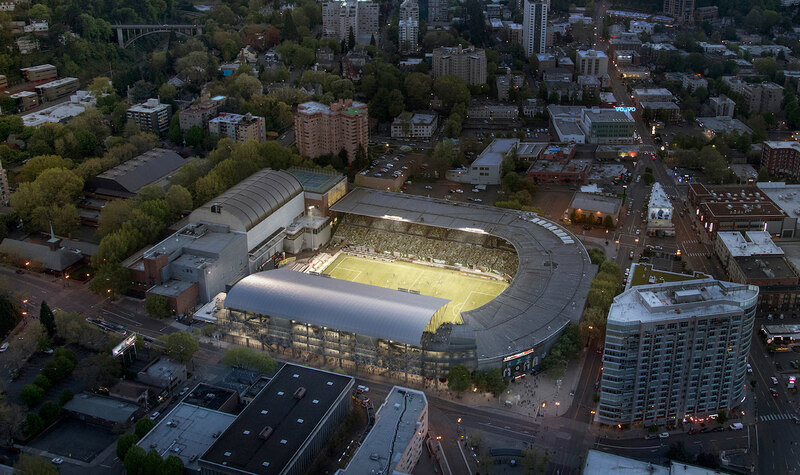 There are many large projects that I haven’t yet had a chance to write about, but which I think Next Portland readers will enjoy learning about. 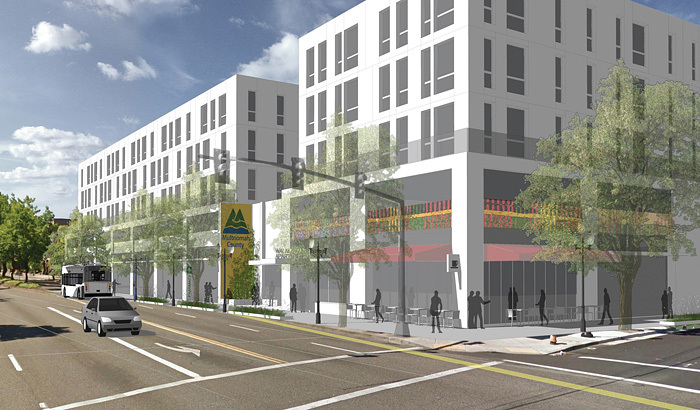 The DJC reported that Multnomah County is eyeing the Walnut Park site at 5329 N.E. Martin Luther King Jr. Blvd for redevelopment. * A preferred alternative calls for “94 market-rate apartments, 50 affordable apartments for seniors, 14 townhomes, a food hall, county services and a single floor of underground parking”. The Willamette Week wrote about the latest fight over a changing Portland: the fate of Peterson’s on Morrison, which is likely to be displaced by the refurbishment of the 10th & Yamhill Smart Park. The city has finalized the sale of Terminal One to Lithia Motors, according to the Oregonian. The Central City is prepping for major growth, writes the Portland Tribune. The first City Council hearing on the Central City 2035 plan will happen this Thursday. The DJC published photos of the OHSU Knight Cancer Research Building as ironworkers top out the South Waterfront project. Completion is scheduled for July 2018.